Well, here we go again with another USPS rate increase across the board. It is effective immediately! I am looking for an exchange of ideas in regard to future shipping charges. In reviewing what my industry is doing as a general rule, it seems to be all over the map so this was an exercise in futility. Postage charges are strictly reimbursement for USPS Priority rates we collect at checkout. I have looked at alternatives, yet most of you prefer the priority for fast delivery to be guarded against damage, theft or loss. It essentially protects your investment for safe arrival. But with new increased rates, perhaps you are ready for an alternative. You can review the new rates on our Shipping Page. One idea in regard to lowering shipping rates to you, is offering First Class postage. However, when using this rate, there is no protection against loss, theft or damage. Postage may be considerably cheaper, but at a cost of no tracking, followed by if the package has any issues, it is a “buyer’s own risk” scenario. First Class Postage is based on weight of the package so you won’t have a quote until you are ready to checkout. Checking averages on rates, they run from $3.50 to $8.00 depending on weight and distance to ship from our location. 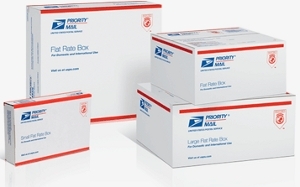 Once over the 1 pound threshold it will make more sense to ship priority since the First Class rate will exceed the priority mail rate. This is still provided for when your order exceeds $75.00 or more, we pay for the cost to ship anyway. This method will remain Priority insured. Some have asked us if we could lower our free shipping value below $75.00. I get it, since some other companies do have a lower threshold or provide free shipping for all orders. Here’s the reality on these offers. In this ideal scenario they have much higher prices than we do, and continue to raise their prices every year it seems. We have held our mineral makeup and skin care prices down for a few years now in spite of dealing with ingredient cost increases of 50 to 100% more. Yet we continue to offer a beloved brand to many, uncompromising in our superior ingredients. It is very easy for those higher priced brands to offer free shipping, sometimes round trip on returns also. Why, because they are absorbing the cost through the higher amount they charge you. The magnanimous offers by such brands is based on the concept, the money has to come from somewhere and it will be through product pricing. So, is it really FREE? I’m noticing when I shop on Amazon lately, my repeat orders I love are now reflecting higher prices as a result in increased shipping rates. Even Amazon has to offset the cost to ship items. They are not immune to the rate hikes hitting us all. I might be receiving free shipping, but I am definitely paying, in some cases, 50% more than before. What Are Some Ideas For Shipping? We have held our prices down and continue to absorb the increase in postage for mineral makeup and skincare orders over $75.00. Your ideas or preferences are welcome. Is there something you would prefer for future shipping on orders, please let me know? Some ideas are below. Raise our prices and provide Free Shipping on all orders which would include samples. In full size products this would be an increase of $10.00 or more per item. Increase prices 3-5% and reduce the Free Shipping Value to $60 or $65.00. Introduce First Class Mail at the lower rate with full knowledge there is no tracking or insurance included against loss, damage or theft. Sterling Minerals can’t help with problems in delivery for this method of shipping if selected over Priority Mail at time of checkout. You’re happy with the way things are for now, so don’t change a thing. It still works! The plus side on #4 is once you hit the free shipping threshold, it is all domestic insured priority anyway. I would love to know your preference if you have one.